Our state-of-the-art surgical suite allows us to perform a wide variety of surgical procedures. Our suite includes the safest gas anesthetic available, visual ECG monitors, warming pads for all patients, sheepskin covered tables and monitoring by a trained veterinary technician. 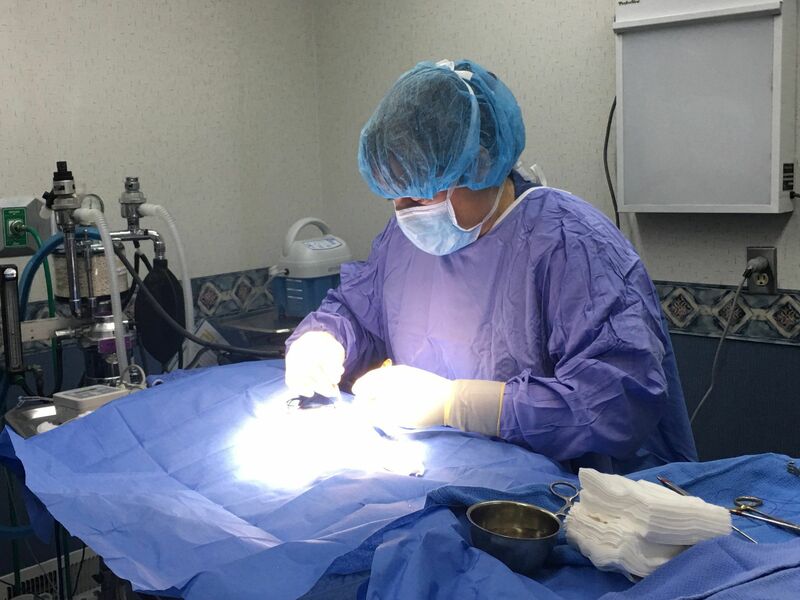 All will be done to see that your pet's needed surgical procedures are conducted as quickly and painlessly as possible thus ensuring a speedy recovery and a quick return home. 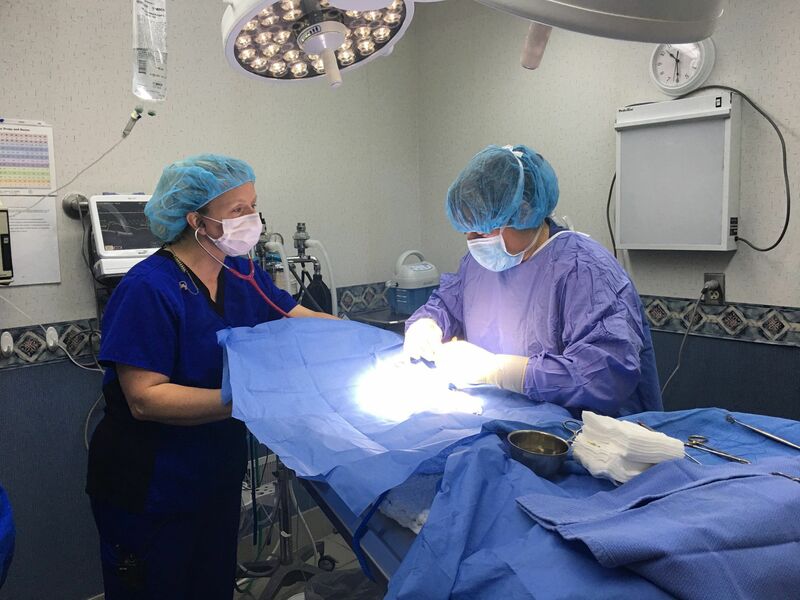 Our services include most any surgeries, including spay and neuter procedures, routine dental prophylaxis and oral surgery, abdominal procedures (foreign body retrieval, hernia repair, etc), and bone procedures (fracture repairs, cruciate ligament repairs). We also refer to other hospitals for further diagnostic testing if needed, for MRI's and CT scans.